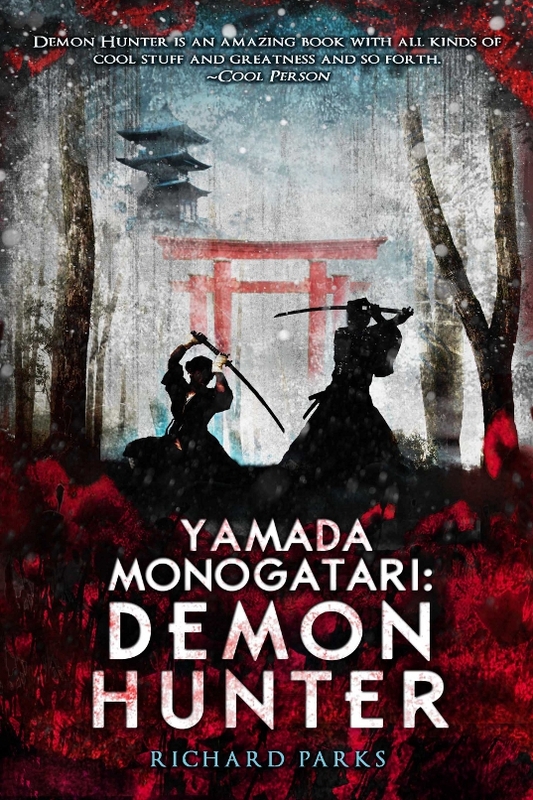 First off, I got the news a few days ago that Yamada Monogatari: Demon Hunter is going back to press. This makes the third printing. Not too shabby for a book that is, in essence, a themed collection. 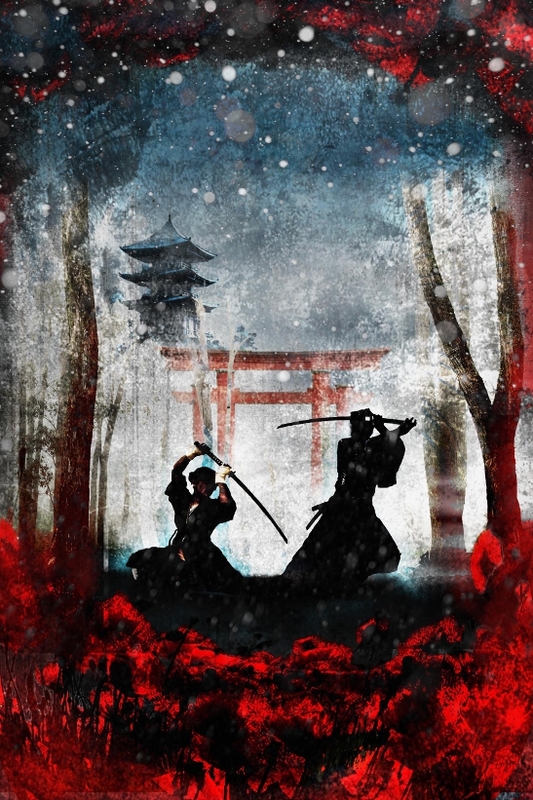 Just in time for the 4th, what should appear in my inbox but the copyedited version of the third book in the series, Yamada Monogatari: The War God’s Son, which both Prime Books and Audible Books are waiting on. Oof. It did remind me of why I usually don’t show first drafts to anybody. It appears that there are certain words and phrases I’m waaay too fond of. “That” is one. There are others. Lots of them. Paula Guran at Prime pronounced the manuscript “structurally perfect,” but stylistically? Not so much until I clean up some of this. Okay, a lot of this. We suffer so that you don’t have to. Well, not much in the way of suffering, really. While I am embarrassed by some of my writing quirks, re-reading the book in the process is reminding me of how pleased I was with it, overall. Not “satisfied,” because one never is, but pleased none the less. Coming back to it cold after this time away I’m a little relieved to say that I still like it, and maybe some of you will too. It moves Yamada’s story arc forward quite a bit. Plus you get to meet Yamada’s elder sister. My shelves are almost bare. Most of my books are already packed away, minus the ones I’m debating whether or not to keep. I hope I won’t need any of my references for a while, though I do need some information on Empress Sadako for the next project. Which I need to get busy on. Which has to wait for the current revisions to be done. Which means back to work. Granted, in reviewer-speak “versatile” is often a euphemism for, “Would you find one kind of thing to write and stick to it, please?” Regardless, I consider it a compliment of the highest order. Holidays. They’re what’s for…something, I don’t know. I was so confused that I posted the next installment of Power’s Shadow on Friday rather than today, where most people missed it. No worries, it’s still there, one post back in time from this one. Time travel—it’s what’s for breakfast. There’s a variation on an old saying first attributed to Ian Maclaren, and it more or less goes like this—“Be kind. Everyone you meet is fighting a battle you know nothing about.” In that sense we all comrades in arms, without the benefit of spiffy uniforms, commissary, or a decent MASH unit. On our own, maybe, but it never hurts to remember that you’re not really alone. If security is an illusion, then so is our separation from each other. Once you realize that, maybe the war won’t be quite as tough. It’s something I like to remind myself of now and again. During and just after the holidays, I’ve found, is a good time to do it. Early indications are that Yamada Monogatari: To Break the Demom Gate, is selling at least as well and maybe a little better than YM:DH, and doing so without any buzz or substantive reviews, so that’s something to be grateful for. The third volume, Yamada Monogatari: The War God’s Son, will likely be coming out in September of this year (started to say “Next Year,” but that’s now “This Year.” (“Time’s a trip, Man.” – Captain Cloud, and kudos to anyone who gets the reference). Assuming that one does okay, there should be one more YM book, at least. Isn’t written yet, but I’m thinking about it. If/when it’s done it will complete the first story arc for Yamada. After that we’ll just have to see. In the meantime I still have a test to study for and another book already begun yet to finish. My year’s cut out for me. 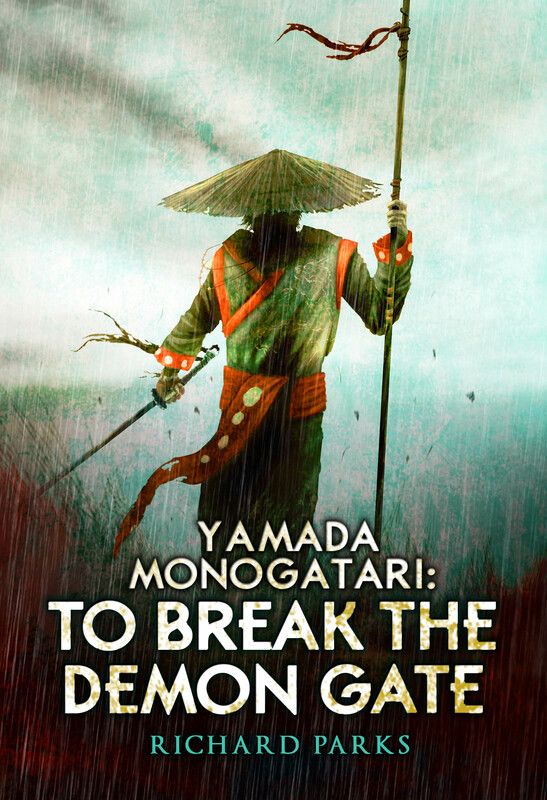 I wouldn’t be doing my job if I didn’t mention that Tor.com is now giving away copies of Yamada Monogatari: Demon Hunter to ten (10) lucky winners. All you have to do to enter is go to the Sweepstakes Page and leave a comment. You have to be a resident of the U.S. (I know, sorry) but otherwise that’s pretty much it. A chance at a free book and all you have to do to enter is post a note attesting to your existence. Even I could manage that on a bad day, but the contest closes on March 18th at 12PM Eastern Time, so get your posts in before that. 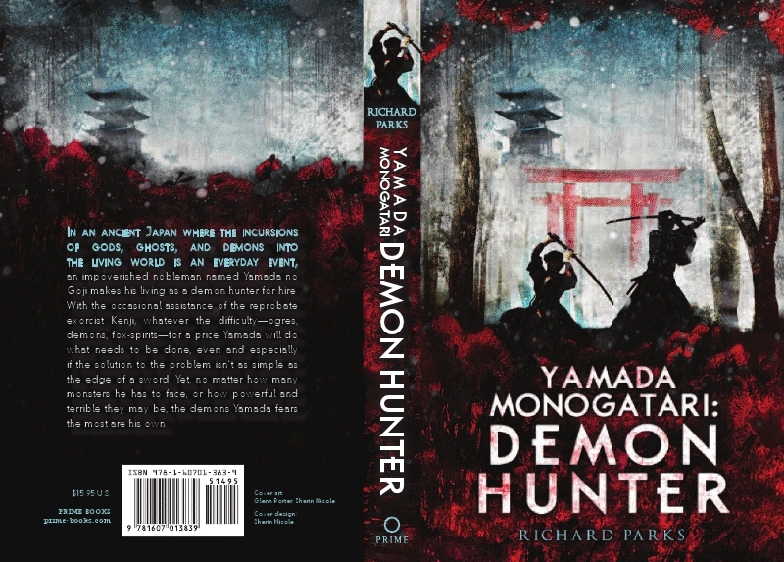 There will be another (and possibly one more, but this is all for now) giveaway of Yamada Monogatari: Demon Hunter, this time at SFSignal. Follow the link for the official rules, but it’s not complicated. You don’t even have to answer any questions, other than whether you’d prefer hardcopy or ebook. You have a choice! It can’t be much simpler than that. 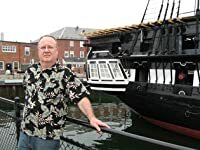 SFSignal will also be runing an interview of me at some point in the near future, so watch this space. Unless you already follow SFSignal–and why wouldn’t you?–in which case you’ll see it there no matter what I say or don’t say here. Ugh. Spent all day Sunday doing taxes. Well, almost all day. From about 9:30AM until 6PM. And then had a glitch with the state forms which had to be redone. Even with good tax software, it was a trial. Nothing like self-employment income for two members of the household and Federal and State forms with different rules to complicated an already ridiculously complicated ritual. And frankly, my brain doesn’t work anymore. I’m hoping it manages to reboot soon, because I’ve got books to write.